I am a Room to Read writer-ambassador. 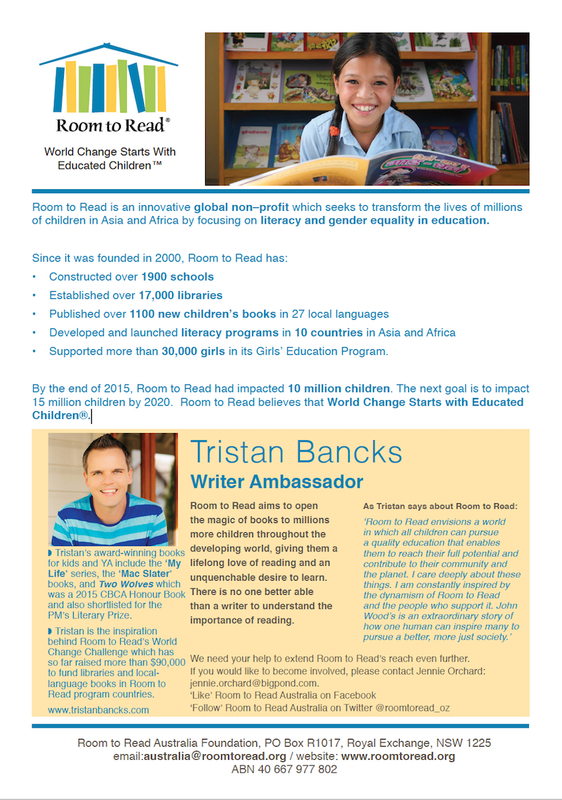 In 2012 I started the Room to Read World Change Challenge (with funding and support from Stubbies Schoolwear) and, since that time, in partnership with school students in Australia and Hong Kong, and the Room to Read writer-ambassador team we have raised well over $100,000 to fund school libraries, book publishing and girls’ education in some of the world’s poorest countries. Room to Read is an ultra-dynamic organisation that builds libraries, supports literacy and creates local language books in developing countries. They have established more than 1,700 schools, created over 16,000 bilingual libraries, distributed more than 13 million books and endowed long-term scholarships for over 25,000 girls. We believe in the idea that ‘World Change Starts with Educated Children’. Room to Read envisions a world in which all children can pursue a quality education that enables them to reach their full potential and contribute to their community and the planet. 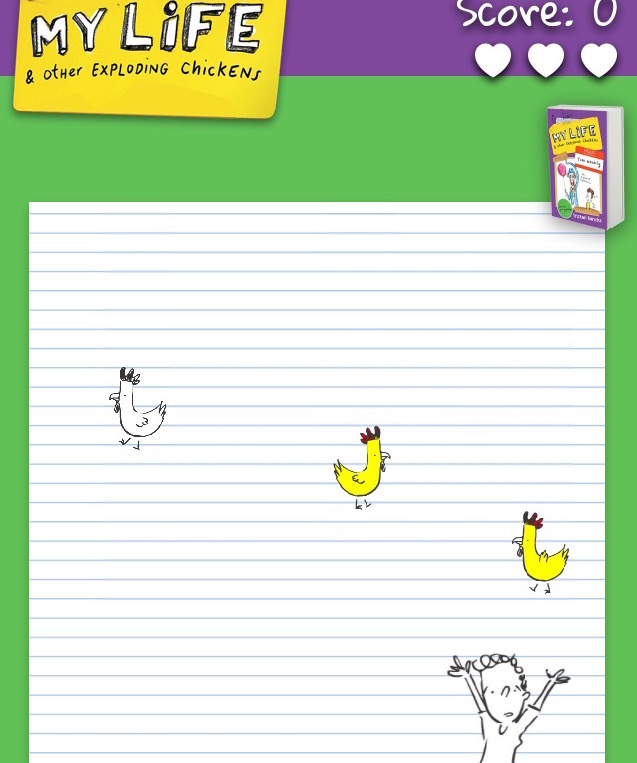 I urge you to check out their website www.roomtoread.org. John Wood, the founder, wrote Leaving Microsoft to Change the World, an extraordinary story on how one human can inspire many to pursue a better, more just society. Read my guest blog post for Room to Read, ‘Why Stories Matter’. Previous Post Coolhunting Comp Finalists Announced!